Iranian authorities on Monday evacuated patients from a hospital threatened by floodwaters in the southwestern city of Ahwaz, the semi-official news agency ISNA reported. Iran has been hit by several weeks of unprecedented flooding across most of the usually arid country that has killed 70 people, according to the emergency services. 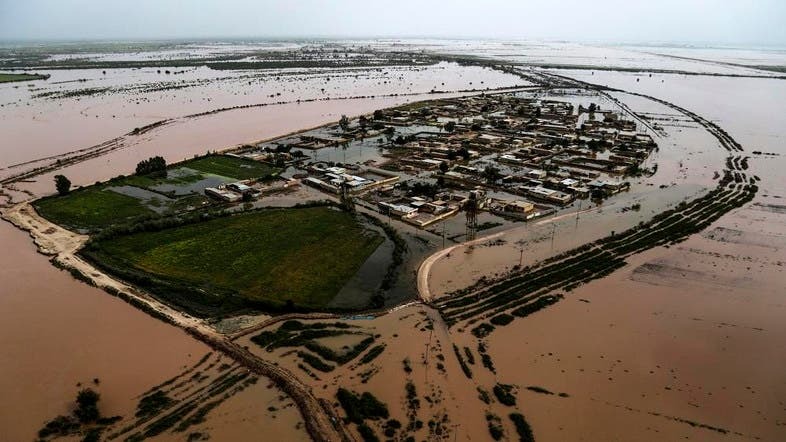 On Monday, authorities were battling to prevent floods reaching Ahwaz, which is the capital of Khuzestan province and home to about 1.3 million people. The advancing waters sparked fears that a hospital on the city’s northern outskirts would be submerged after the nearby Karkheh river burst its banks. “Salamat hospital has been evacuated and all patients transferred to Golestan hospital on the orders of the crisis management authorities due to the risk of the hospital being flooded,” the head of Golestan hospital, Meysam Moazi, told ISNA. The huge floods have forced authorities to release water from one of the largest dams in the area, which has left some of the cities downstream under threat. A “significant amount” of floodwater from Karkheh started moving toward Ahwaz on Sunday, according to city mayor Mansour Katanbaf. “We’ve been trying to manage the water ... most of it has been diverted toward other channels and what’s left is being handled,” Katanbaf told ISNA. According to ISNA, a total of 210 villages along the river have been evacuated, 61 of which are now flooded. Flooding swamped northeast Iran in mid-March before spreading to the west and southwest of the country later in the month. Heavy rains brought more floods to the west and southwest at the start of April. The flooding has caused damage worth 150 trillion Iranian rials, more than $1 billion at the free market rate, according to an official estimate given by lawmaker Mehrdad Lahooti.